Bustling Christmas atmosphere are prevailing over the world. Colorful and shimmering lights, and decorations are being seen everywhere. 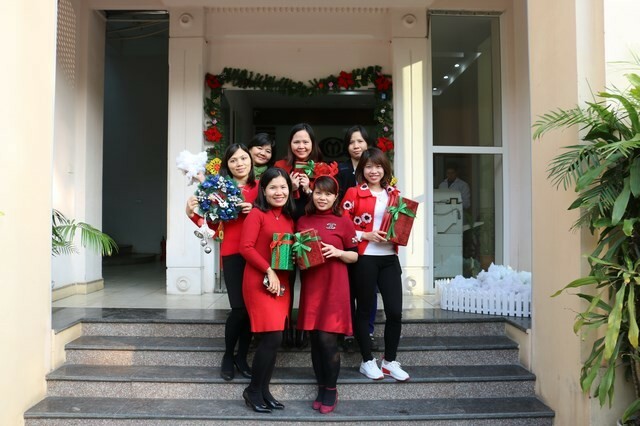 In harmony with this Christmas atmosphere, the event “Welcome Christmas and the new year” was held warmly at all branches of IMC system such as: offices in Community center, Bac Tu Liem; IMC Quang Minh Hi-tech Factory, Hong Bang Factory … Each location is celebrating in a different way but most of our staffs are very happy. At Office in Bac Tu Liem, a small party is held in the sunshine and biting cold weather of the Northern. We together enjoy the wine with bustling melodies. 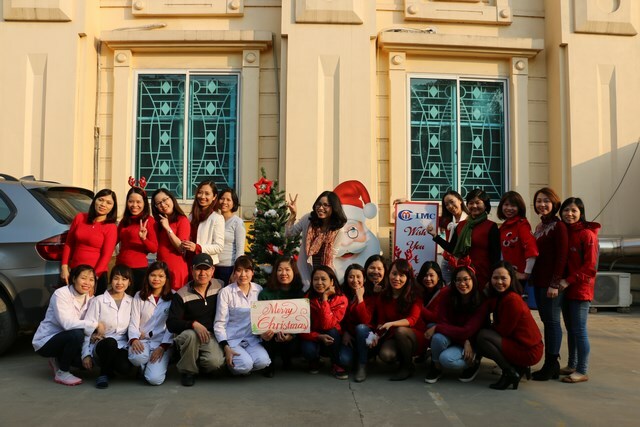 At IMC Quang Minh Hi-tech Factory and Hong Bang factory, Santa Claus give presents and did not forget to send wishes of the happiest and merriest Christmas to each staff. Staffs at the Office in Community center have many beautiful photos together, contributing the sparkling lights to the Christmas season. The parties in all places happen in extremely warm and funny atmosphere. On behalf of the Board of Directors, DS Hoang To Uyen- Deputy General Director send wishes of the happiest and merriest Christmas and thank to IMC’s staffs for their dedication and hope to the New success in 2018.